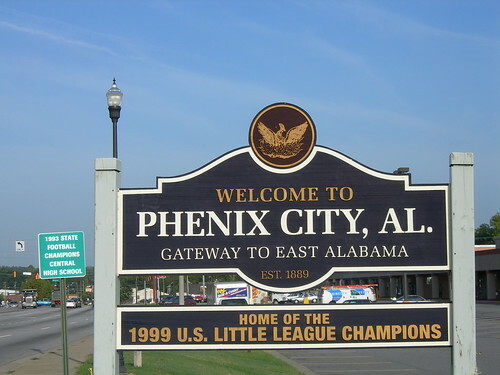 Comfort Keepers has been serving Phenix City and the Bi-City area since June of 2002. Al Abbott, the owner, realized the need for in-home care specially designed for seniors in the Phenix City area, after seeing first-hand the struggles families endure when caring for a loved one. Our approach to in-home care is called Interactive Caregiving. This type of caregiving is integral to how we care for seniors and other adults so they can live the highest quality of life, in the comfort of their own homes. Research indicates that keeping seniors mentally, physically, emotionally and socially engaged helps them to enjoy a higher quality of life, retain better cognitive function, stay healthier and live independently, longer. Our caregivers, special people we call Comfort Keepers, make a positive impact in seniors’ lives. Whether they are feeding the ducks at Idle Hour Park, going for a leisurely walk down the Phenix City Riverwalk, or watching the whitewater rafters on the Chattahoochee River, our Comfort Keepers are making a difference by transforming daily activities into memorable moments. This creates a happier, healthier and more independent life. Comfort Keepers works closely with local hospitals such as Jack Hughston Memorial Hospital. Comfort Keepers also works with local hospices to include Columbus Hospice of Alabama, and Gentiva Hospice. We also assist clients in assisted living facilities and coordinate care with local nursing homes and skilled home health care agencies. At Comfort Keepers of Phenix City, AL, we love our community. Our Comfort Keepers can be seen cheering on the local high school football team, or taking in a concert at the Phenix City Amphitheater. Our Phenix City Comfort Keepers team understands that supporting a community means supporting the youth of the community as well. We take pride in sponsoring many little league sports teams, as well as the local schools like Central High School, Smith Station High School and Glenwood. Comfort Keepers communicates with local organizations about senior care and how Comfort Keepers can assist in providing a safe and healthy environment for our clients. To speak with our team about services please Contact Us or call us at (706) 562-1211. We are available 24/7 to assist you.